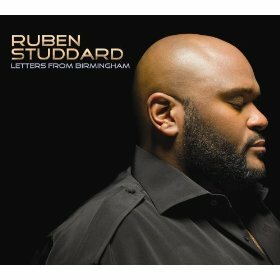 American Idol season two winner Ruben Studdard brings an enjoyably soulful fifth LP with Letters from Birmingham. Partly inspired by MLK’s famous “Letter from Birmingham Jail,” the 33-year-old places personal love notes between songs that tell the story of a relationship’s unfortunate journey, from courtship to marriage to the eventual divorce. The funkier side of soul is shown with tunes like “Turn U Out” and “Wear Me,” whereas the radio-friendly “Love Skies” and a cover of Bobby Brown’s “Rock Wit’cha” solidify the Luther Vandross comparisons. Never letting go of his gospel roots, the Idol winner also gives “Today” (Hallelujah! ),” showcasing his lovely vocal range. Rounding out the album is lead single, “June 28th (I’m Single),” his actual wedding date from his 2008 marriage to Zuri McCants Studdard, which was officially dissolved this year. This is as transparent as I’ve ever heard the singer. And it works for him. Letters from Birmingham is Studdard’s debut from indie imprint Shanachie Records.